This wellness-house with all the amenities stands in Wagrain and provides a memorable holiday. This wellness-house with all the amenities stands in Wagrain and provides a memorable holiday. This house offers very upscale holiday homes (ASA039-ASA044) that are all comfortable and elegantly furnished. Each home has its own heated swimming pool for all the guests as well as a playground, lawn and a football field. There is a huge wellness area with sauna, steam bath, solarium, infrared cabin, fountains, massage table, foot pool, heated benches and a relaxation room (chargeable area-wise) in this home. Play room, trampoline, table tennis and many other features are available. Wagrain is famous for its winter sport activities. In summer, there are several hiking trails and other options such as biking, mountain biking or climbing. You can just relax and unwind in this region. Children will enjoy nature and adventure world with adventure playground in Grafenberg. An 18-hole golf course is located in Radstadt. You can book for breakfast in advance. This beautiful apartment is made from wood and brick and was originally built in 1981 and refurbished in 2017. The agent has rated it as a four star property so it is a well-equipped apartment with above average furnishings. It is also great value for money. 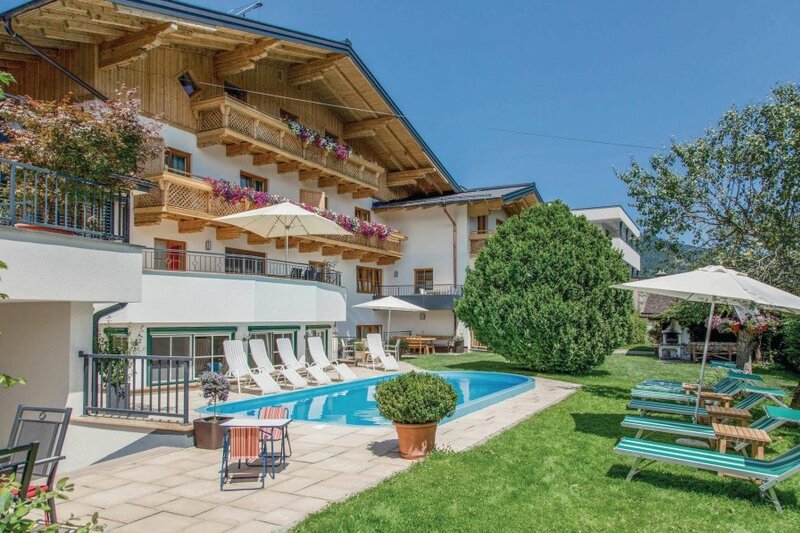 This apartment has use of a shared pool and panoramic view of mountains; it is also located in Hof, only 9km from St. Johann im Pongau. The nearest airport is 60km away. It is set in a convenient location, 2km away from the skiing sport facility: there is a restaurant 2km away. The apartment has free cable internet. You can also park on-site at no extra charge. The apartment is well equipped: it has a refrigerator, microwave and dishwasher. The property has a sauna; it also has a garden, a shared barbecue and some shared garden furniture outside.